If you're a member of Marriott Rewards, SPG, or The Ritz-Carlton Rewards, you could soon earn 20% more points for every dollar you spend. Calling all travelers: If you haven't already heard, three of the biggest hotel rewards programs — Marriott Rewards, The Ritz-Carlton Rewards, and Starwood Preferred Guest (SPG) — are merging. The change, set to roll out in August, will mean members can earn and redeem points at 6,500 hotels in 127 countries and territories across 29 brands. That includes Renaissance Hotels, W Hotels, Courtyard, and St. Regis, among others. Read on for everything you need to know about the upcoming changes and how they'll affect rewards program credit cards. At this point, there's no word as to what this unified loyalty program will be called. Marriott International plans to announce a new moniker in early 2019. Until then, the individual program names will live on, but everything else will be consolidated. "Creating one loyalty program has been a stated objective since Marriott acquired Starwood," Marriott International Vice President of loyalty, digital, and marketing innovation John Wolf told DealNews. "By creating one set of unified benefits, all our loyalty members can take advantage of the entire portfolio to book stays and earn and redeem points." Expect to earn an average of 20% more points for every dollar you spend. Wolf says this new program will be good for members, who will "earn points and achieve Elite status faster," and be able to more easily redeem points for stays. Expect to earn an average of 20% more points for every dollar you spend. 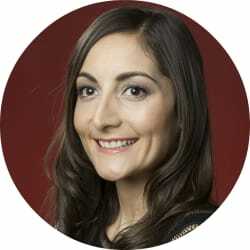 "We decided to announce the new benefits now and launch them as quickly as possible, so members could take full advantage," Marriott International Global Marketing Officer Karin Timpone said in a statement. Plus, members will have one account, profile, login, and points balance — which should simplify the overall experience. Marriott promised to share more information about how current members can combine their loyalty accounts in the coming months. Keep an eye out for this information, as you'll need to combine your accounts online before checking in to receive any benefits from your joint status. What Are the New Member Tiers? The new program is free to join, and all members get perks like complimentary in-room internet access. If you stay at least 10 nights per year, you'll earn "Silver Elite" status, with additional benefits like 10% bonus points on stays, access to a dedicated reservation line, priority late checkout, and "exclusive member rates." Once you reach 25 nights, you'll bump up to "Gold Elite" status, which includes 25% bonus points on stays, 2 pm late checkouts, a welcome gift of 250 to 500 points, and a room upgrade. Those who stay at least 50 nights per year will jump to "Platinum Elite" status and get 50% bonus points on stays, 4 pm late checkouts, lounge access, an upgrade that includes select suites, an annual benefit of either five suite night awards or a gift option, plus a welcome gift (either 500 to 1,000 points, a breakfast offering, or an amenity). Stay at least 75 nights a year, and you'll earn "Platinum Premier Elite" status, which includes 75% bonus points on stays plus all the aforementioned perks. All members of the unified program will get perks such as complimentary in-room internet access and mobile check-in. Finally, Platinum Premier Elite members surpassing 100 nights and $20,000 of qualifying spending will "enjoy the highest level of personalized service — the popular ambassador program," Marriott International states. You'll be matched with a personal ambassador who'll serve as a single point of contact for all your needs. They can answer all your membership questions and help arrange your transportation, sightseeing adventures, restaurant reservations, and spa treatments. 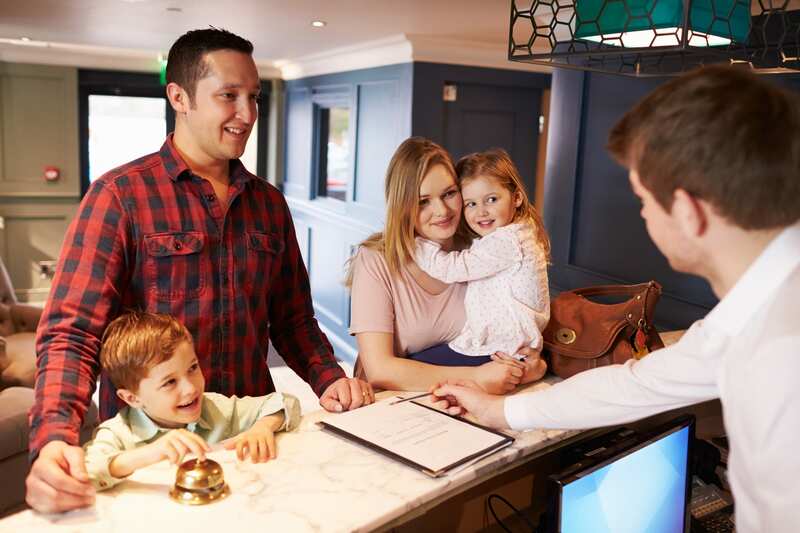 "Our ambassadors will do their best to get to know their assigned members to understand what means the most to them when traveling, to anticipate their needs, and to ensure our hotels are prepared for their arrival," the company says. Highest tier members can also choose their own check-in and checkout times. The unified program will introduce a single points system. You'll earn 10 points for every dollar spent at all brands (with the exception of Residence Inn, TownePlace Suites, and Element, where you'll get five points for every dollar spent). You'll also earn points for food, beverages, and qualifying incidentals charged to your room. Previously, you could only earn points on the room rate. The new points system will be especially good for current SPG members. Because SPG points are valued at a 1-3 ratio compared to Marriott Rewards points, SPG members "will see their points balance triple" in August. Meanwhile, redeeming points will also be easier. Hotels throughout the loyalty portfolio will have no blackout dates for redemptions. When the unified program launches, members will — for the first time — be able to book stays at any participating hotel from Marriott.com, SPG.com, or any of Marriott's mobile apps. That should make it a lot easier to find the perfect room or suite. Marriott International also promises more mobile features, including the ability to check in or out, receive "room ready alerts," chat directly with hotels, and use your phone as your room key in some locations. Alongside the launch of its unified rewards program, Marriott's Moments program is expanding to offer more than 110,000 experiences in 1,000 destinations — think cage diving with sharks in South Africa, seeing Wicked on Broadway in New York City, or taking a cooking class in Paris. Moments experiences can be purchased with cash and don't require a hotel reservation. As a rewards program member, you'll earn points when you purchase these experiences. In the future, all Moments experiences will be redeemable using points. Some will be exclusively available to members using points, such as VIP access to Keith Urban's Graffiti U World Tour, as well as intimate events with "superstar chefs and well-known musicians." Later this year, Marriott and its credit card partners JPMorgan Chase and American Express will offer new, co-branded cards, providing "more benefits across the entire loyalty portfolio." Existing members can opt to keep their current cards, or apply for a new one. 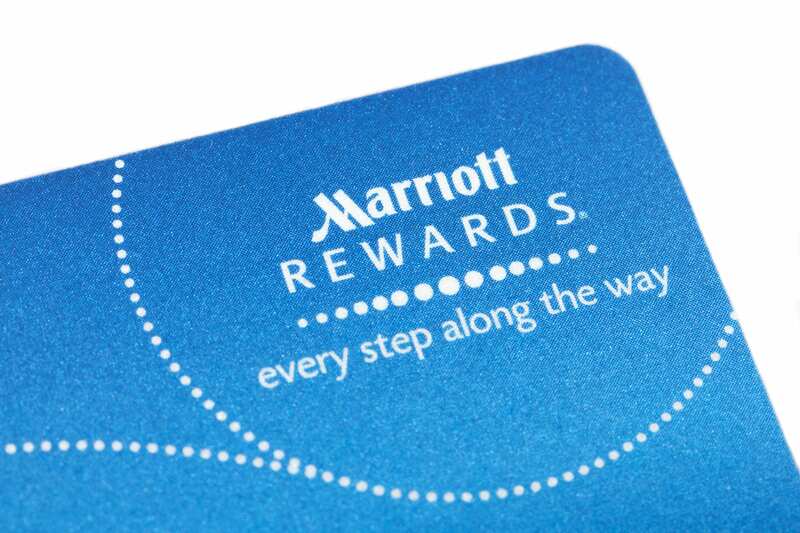 Marriott says "exciting changes" are on tap for existing Starwood Preferred Guest American Express, Chase Marriott Rewards Premier Business, and JPMorgan Ritz-Carlton Rewards credit cards — so if you have one of them, stay tuned. Meanwhile, a new Chase Marriott Rewards Premier Plus credit card will offer guaranteed Elite status, plus "six Marriott Rewards points per dollar spent at participating hotels, two points per dollar spent on all other eligible purchases, an anniversary free-night certificate for any property up to 35,000 points... and much more." A new Starwood Preferred Guest American Express Luxury card will also offer competitive benefits. You'll get automatic Gold Elite status, plus "six points per dollar spent at participating hotels, three points per dollar spent on airfare and at U.S. restaurants, and two points per dollar spent on all other eligible purchases." Other perks of the American Express card will include $300 annually in credits for on-property purchases, a free night award, a $100 credit for the Global Entry program, and membership in the Priority Pass Select airport lounge access program. If you've achieved Lifetime status in Rewards or SPG, you'll be able to qualify for one of three new tiers when this new program goes into effect: Lifetime Silver Elite, Lifetime Gold Elite, and Lifetime Platinum Elite. "Once you achieve a Lifetime Elite tier, you'll never go below it, and your points will never expire," Marriott says. For more on the changes, be sure to check out Marriott's FAQ. Readers, what do you think about the upcoming changes to these rewards programs? Will you consider joining the combined loyalty program? Let us know in the comments below!